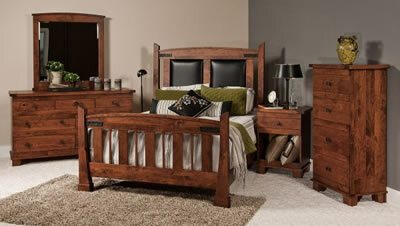 Amish Furniture Warehouse, located in New London Wisconsin, offers you quality, handmade Amish bedroom furniture. 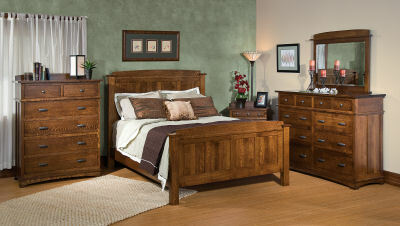 There is so much more to consider then just looks when buying any furniture, especially bedroom furniture. Function is key. That's where we differ from other furniture stores. We take the time to learn what your needs, wants and tastes are, and then offer you furniture solutions. You won't be disappointed in years to come when your drawers always open smoothly, and you know you can move your bedroom furniture around time and time again, without the whole piece of furniture leaning to one side or is ready to collapse. We build furniturethat lasts, period. 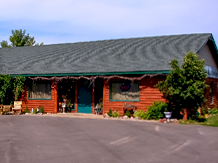 To view the entire collection, including beds, dressers, armoires, and night stands, and to really appreciate the quality and craftsmanship of our bedroom furniture, you need to visit our store, located 5 miles west of New London, Wisconsin.